The friendly, community of Jetmore has been in existence since 1882. 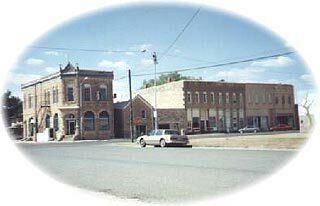 In 1879 when the county votes were being collected for designating the county seat, Jetmore was then entered as a little town named Buckner. Buckner won but, it was not until a court decision, in an action brought by A.B. Jetmore and T.S. Haun, ordered a recount of votes and a declaration of election that the commissioners finally acted. It is not certain why the name of Jetmore was given to the former town of Buckner. The Hauns filed their plat of Jetmore under that name on March 25, 1882. The name of the post office had already been changed. A record of commissioners' proceedings of the period shows a bill for $200 presented by Mr. Jetmore for services in the court action above recorded. Perhaps the name was given in recognitions of services rendered but uncompensated. After all, who would not consider it worth two hundred dollars to have a town named for him? A railroad came to Jetmore in 1887, but was discontinued in 2004. The first eighty years of Jetmore's life was rough and rugged, as the people stood up to cattle wars, vigilantes, prairie fires, blizzards, and droughts. Hodgeman County has 33,118 acres of walk-in hunting.